Let’s start with the good news for the Cardinals. 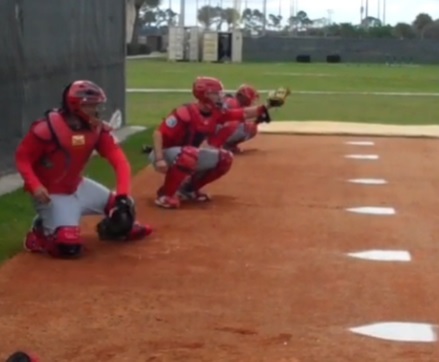 Yadier Molina took his first steps in his rehab and prep for the making it to the Opening Day roster by taking his first pitches behind the plate. He took 20 pitches from Adam Wainwright in a bullpen session. The first in a series of steps the catcher must take in order to be ready in early April. Yadi will obviously build up his pitch count to get his legs in game shape and ahopes to get a bat in his hands, but that won’t be for awhile as he recovers from two off-season wrist surgeries. “I’m just happy to be back,” Molina said afterward. The Cardinals and Royals will play real baseball games on Wednesday. The Royals have a charity game against the Rangers before officially starting Cactus League games on Thursday. Before the Cardinals play the Marlins on Thursday in the official Grapefruit League opener, they’ll take on Florida Atlantic. Both teams played intrasquad games on Monday, but their approach to the game was very different. Mike Matheny had Triple-A pitching coach Bryan Eversgard throwing 50 mph from 50 feet away, electing to keep his pitchers out of the game. Matheny still wanted to build some competition, so he had the losing team clean out the clubhouse after the game. Matheny said even with a pitching coach throwing BP, the pressure increases for the hitters when the stakes are raised. 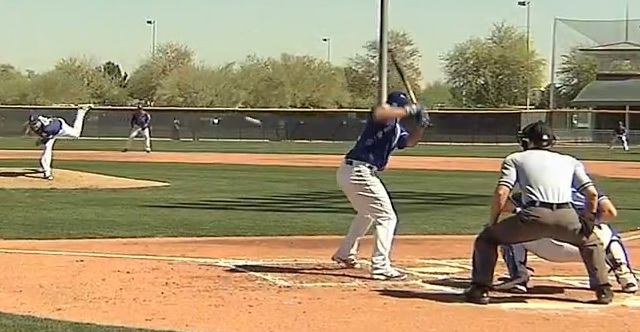 The Royals played a three inning practice game on Monday. Royals manager Ned Yost watched over a three inning game that featured live pitching and full game play with umpires. The goal of his intrasquad game was not to build any competition, but it was just a chance for the guys to get out on the field, away from drills and just play some baseball. Yost didn’t put much stock in the results. He feels his players know the drill, know what they need to do to get prepared and he’s going to ease his players back into action coming off two short winters following back-to-back World Series appearances.